The media is lying to you about the supposed horrible state of the world, and we swallow it—hook, line, and sinker. While the news focuses on homicides, brutal terrorist acts, and warnings about global diseases, they are only telling part of the story. In this meticulously researched book, J.D. King gathers stories, statistics, and relevant data to prove his point that the world is improving. 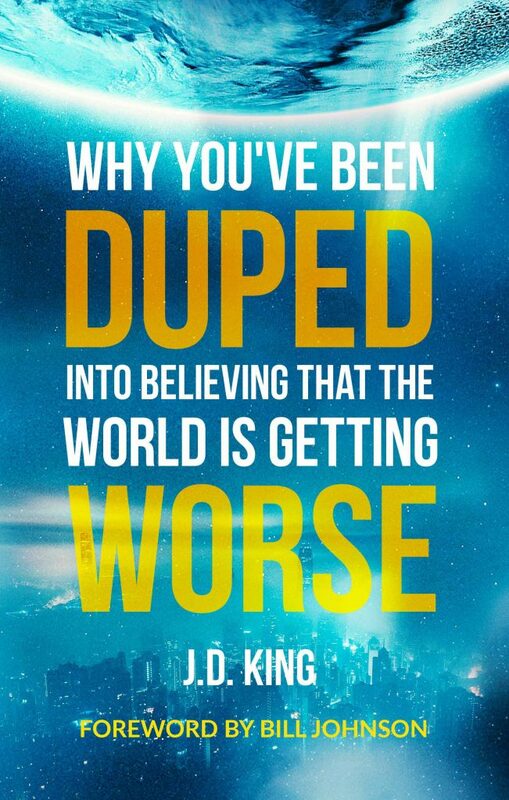 Written to encourage you during these tumultuous times, Why You’ve Been Duped into Believing that the World Is Getting Worse presents a hopeful view of what’s happening around the globe. J.D. King has been in ministry over 25 years and is renown as a revivalist and biblical teacher. King has authored five books and composed articles for Pneuma Review, Charisma Media, and Spirit-led Woman. In addition to serving local churches, a school of ministry and an international ministry network, he has also appeared on television and radio. He and his beautiful wife Bobbie have two children and currently live in Lees Summit, Missouri. Share book reviews and ratings with Book Promo Central, and even join a book club on Goodreads.